Brief Description: Natural weathering processes form the fantastic shapes of South Seas Base Rock by the erosion and pitting of limestone over the course of eons. It is clean and safe for marine, reef and hard water freshwater aquariums such as African cichlids. South Seas Base Rock can also be an interesting and realistic addition to a desert reptile biome. 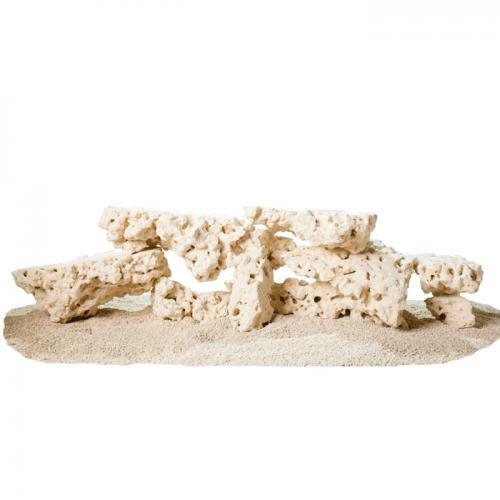 Notify me when "CaribSea South Seas Base Rock Shelf [40 lbs]" is re-stocked.